Black hexagon hobnail trivet to match our cast iron teapot. Rubber caps over legs. These come in black and are manufactured by Iwachu, in the Iwate region of Japan. Additional matching cast iron tea cups available. 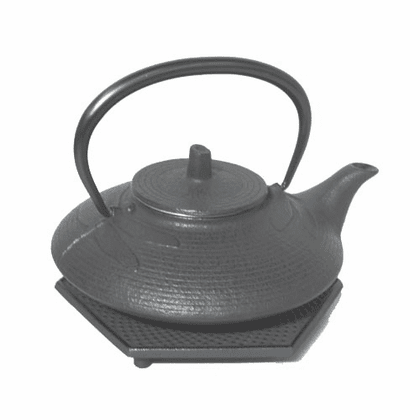 Iwachu cast iron tea warmer available.